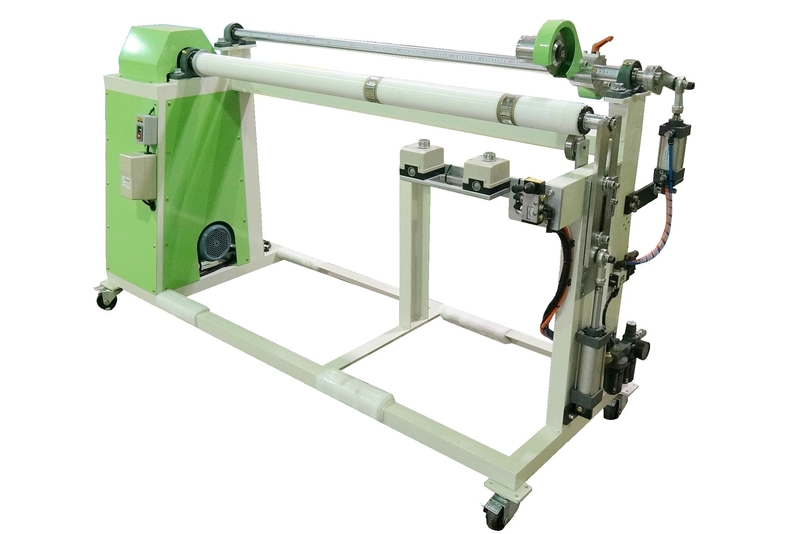 Semi Automatic Core Cutting Machine(FPT-A) - HCI Converting Equipment Co., Ltd. This model is upgraded by FPT series core cutter, instead of manual operation, pneumatic control cutting system gives a stable pressure to have a smooth cutting surface on a 10mm (Max.) thick paper core. Pneumatic cutting system instead of manual pressure to ensure the cutting quality. Well considered safety design, cutting blade moving down is controlled by start buttons be pressed by both hands, and it goes up once each one released. Paper core be gripped by quick lock ring, it gives rapid changing with core undamaged. PE anvil makes the cutting blade more durable. Segmenting design makes the quick lock ring and cutting position changeable.